TASCHEN’s new architecture series brings a unique perspective to world architecture, highlighting architectural trends by country. Each book features 15 to 20 architects—from the firmly established to the up-and-coming—with the focus on how they have contributed to very recent architecture in the chosen nation. Entries include contact information and short biographies in addition to copiously illustrated descriptions of the architects’ or firms’ most significant recent projects. Crossing the globe from country to country, this new series celebrates the richly hued architectural personality of each nation featured. Architects included: David Adjaye, Will Alsop, Caruso St John, Laurie Chetwood, David Chipperfield, Edward Cullinan, dECOi, Ellis Williams, FOA, Norman Foster, Nicholas Grimshaw, Zaha Hadid, Michael Hopkins, Eva Jiricna, Richard Rogers About the author: Philip Jodidio studied art history and economics at Harvard, and edited Connaissance des Arts for over 20 years. His books include TASCHEN&apos;s Architecture Now! series, Building a New Millennium, and monographs on Tadao Ando, Norman Foster, Richard Meier, Jean Nouvel, and Zaha Hadid. 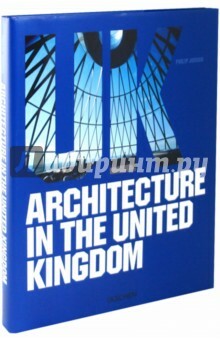 He is internationally renowned as one of the most popular writers on the subject of architecture. Издание на английском, французском и немецком языках.